How does The Leadership Challenge® build high-performing teams and enhance leaders' influence? 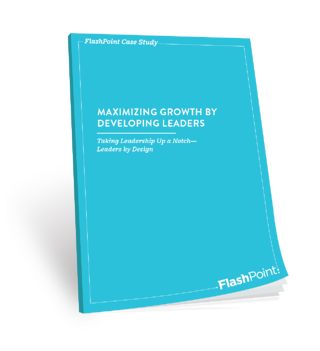 Vera Bradley and FlashPoint worked together on Leaders by Design, a customized, experiential, 12-month leadership development program based on The Five Practices of Exemplary Leadership® from The Leadership Challenge®. In this download, we'll break down information about the client's challenge, participants, results, and the solution we implemented. You'll see how the client increased collaboration, deepened bench strength, and enhanced retention of key high-potential leaders.